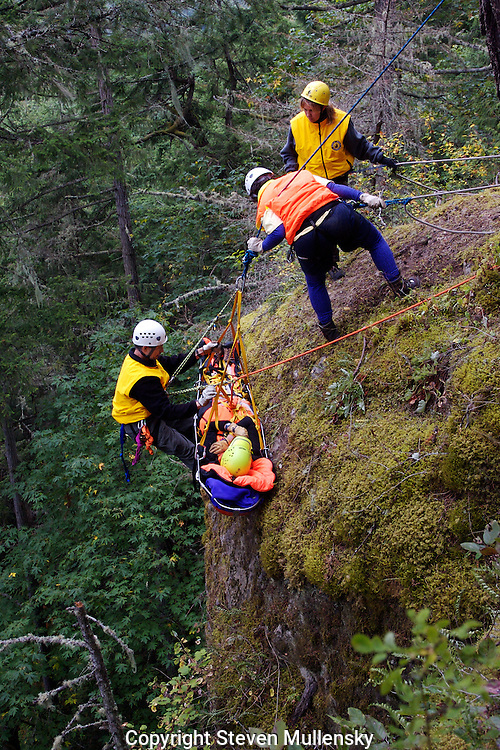 Jefferson Search and Rescue conducts an over the cliff training exercise by lowering and raising a litter, containing a volunteer victim, in a simulated rescue from the bottom of a 400 foot cliff. The training site is near Gibbs Lake in the Olympic National Forest. The team, made up of volunteers from the surrounding communities, meets monthly to hone their skills.